Hearing and dementia — what’s the connection? Just recently, medical science has connected the dots between brain health and hearing loss. Several major studies indicate that even minor untreated hearing impairment increases your risk of developing dementia. Researchers believe that there might be a pathological link between these two seemingly unrelated health problems. How does hearing loss put you at risk for dementia and how can a hearing exam help fight it? 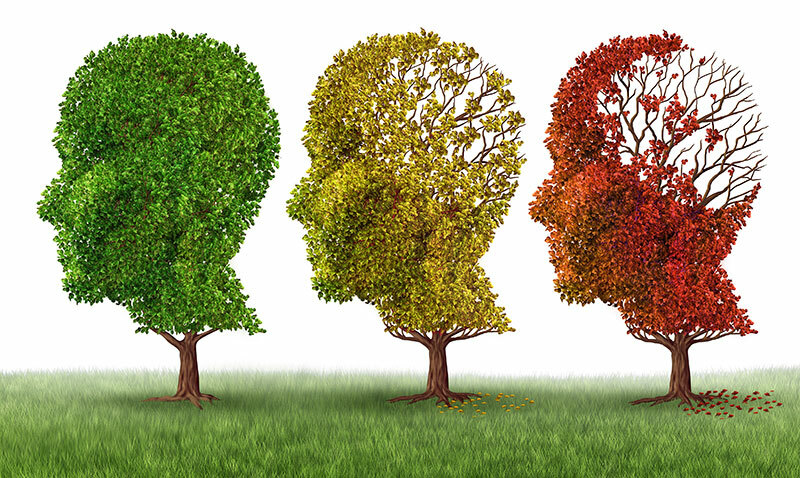 The Mayo Clinic defines dementia as a group of symptoms that alter memory, thinking ability and socialization. Often people think of Alzheimer’s disease when they hear the word dementia because it is the most common form. Alzheimer’s is progressive dementia that affects about five million people in this country. Today, doctors have a better understanding of how hearing factors into dementias like Alzheimer’s disease. Not everyone understands how even a little hearing loss affects their overall health. For most, the decline is gradual, too, so they don’t always realize there is a problem. The human brain likes to adapt as hearing declines, so it is less noticeable. Getting comprehensive exams gives you and your primary care physician the ability to properly assess hearing health and monitor any decline as it happens. Some forms of hearing loss are a quick fix, too, during the exam. The trauma to the brain doesn’t change just because the hearing loss is due to a buildup of earwax. The faster you deal with this decline, the better the brain can adapt. That may mean getting hearing aids for some patients. The current hypothesis is that stress on the brain from hearing loss plays a major role in cognitive decline and different kinds of dementia. Based on that one fact, you might conclude that hearing aids reduce the risk. A hearing assistance device amplifies sound while filtering out background noise that interferes your hearing and that eases that stress. With a hearing aid, the brain will not work as hard to understand the audio messages. People with completely normal hearing can also develop dementia. What science currently believes is that gradual hearing declines just accelerates the process, increasing the risk of cognitive problems and Alzheimer’s. The key to lowering that risk is comprehensive hearing exams to diagnose and treat age-related hearing loss before it can have an impact on brain health.